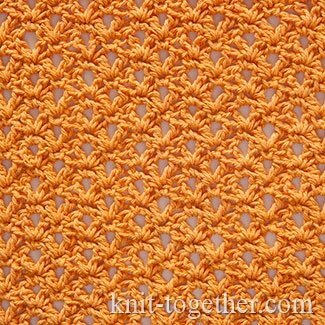 Fine crochet mesh is simple pattern. 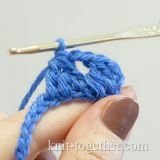 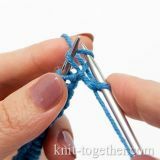 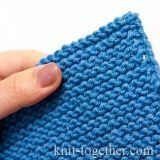 The repeat (rapport) of the pattern is 6 stitches by horizontally and 2 row by vertically. 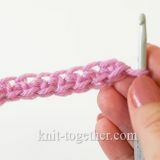 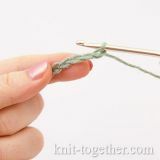 For crocheting swatch of this pattern make chain stitches a multiple of 6. 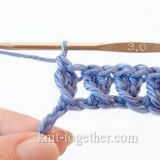 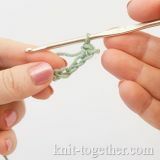 3 row: 2 turning chains, * 1 double crochet in loop of single crochet of previous row, 2 chains, 1 double crochet in same loop, 1 single crochet in space of two chains of previous row *, 1 double crochet in loop of single crochet of previous row, 2 chains, 1 double crochet in same loop. 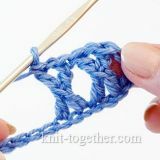 Then pattern repeats from 2nd row.